The Waves token, a cryptocurrency native to the trading platform with the same name, seems to be having the best days of the year after experiencing growth of close to 50% in the last 24. An achievement that is quite important considering that the markets of cryptocurrencies have had a bearish behavior in that same period of time. According to coinmarketcap, the crypto currently ranks 25th in the global, and a few hours ago it outperformed each of the cryptos that precede it in the list. 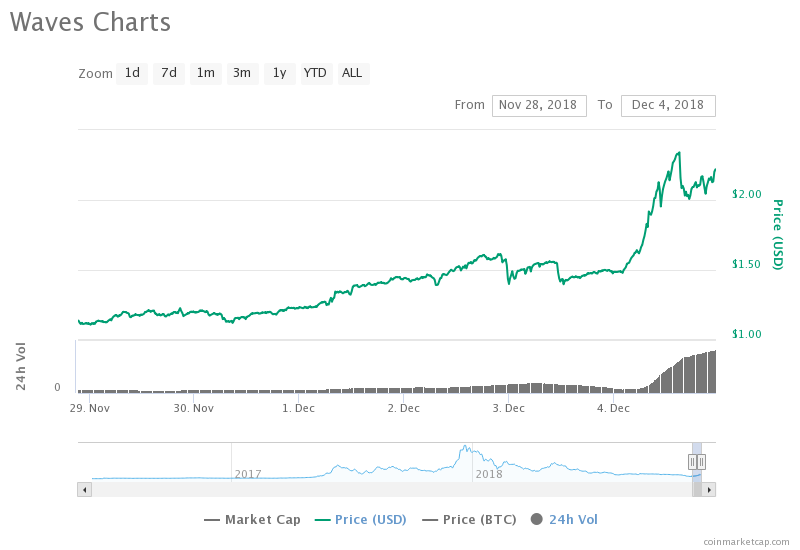 The token began a slow but stable bullish trend that accelerated on December 4, bringing the token to monthly highs. The reason for this trend was the recent announcement of the release of a significant update to the mobile wallet. After the release of the app, the token reached a high of $2.34 on December 4 after trading at a price of approximately $1.5. 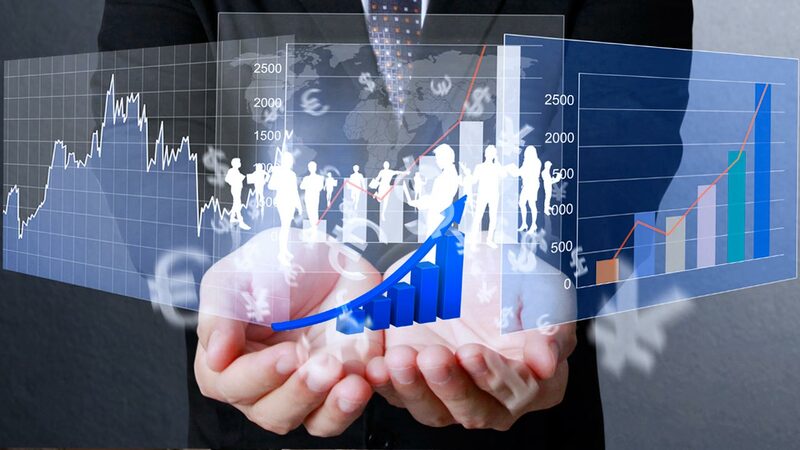 New features available include digital asset management on the native decentralized platform (DEX), sending tokens to address book contacts, leasing the WAVES token, as well as options to receive warnings about suspicious tokens, while viewing graphs, depositing, storing, exchanging, and retrieving crypto assets. The bullish performance of the token generated many positive comments from the community. Users from Reddit and Twitter commented that the cryptocurrency has enough growth potential, claiming that this trend should be sustained. However, it is important to note that no matter how strong the rise, these “explosions” in prices are usually produced by an initial momentum of interest in the market for new products that then tends to drop to a break-even point. Sasha Ivanov, founder of the platform, commented that probably within a few days support will be added for equivalents to erc20 tokens running on the platform. https://t.co/EQhn7UTdUH $waves smart assets release coming next week. This is our own #Erc20 for native tokens. Doing things differently is always fun!